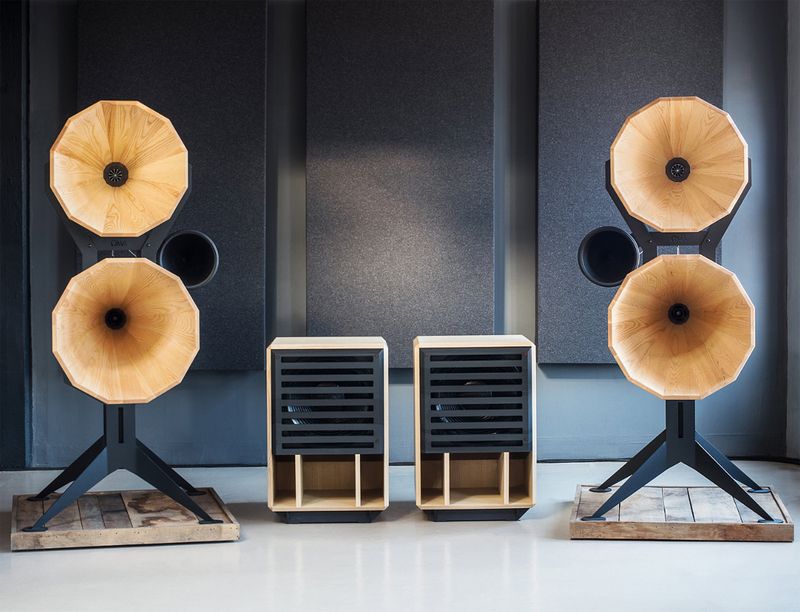 Four Way Horn System "Imperia"
Instead of following current trends and embracing cutting edge technology, OMA audio always looks back to create audio equipment. 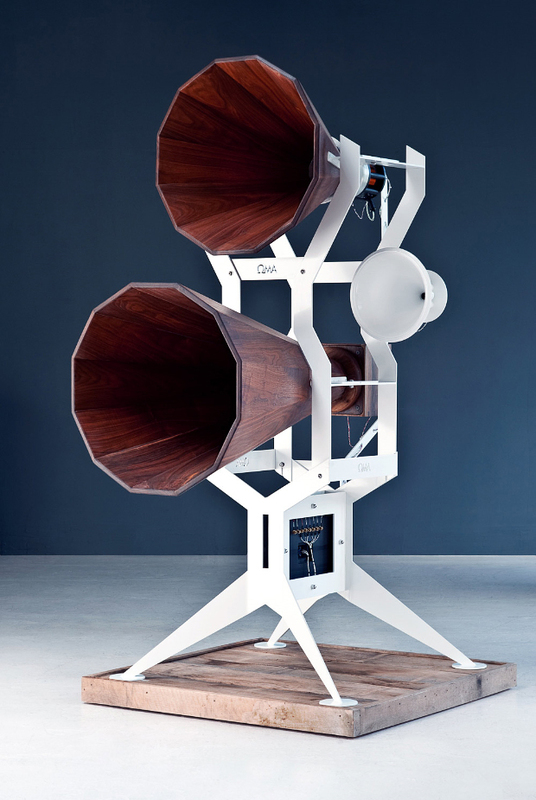 The “Imperia” is a four way horn system with a vertical series of conical horns covering 100Hz to 20kHz, and two rear loaded subwoofer horns using a massive 21 inch neodymium woofer handling 20Hz to 100Hz. 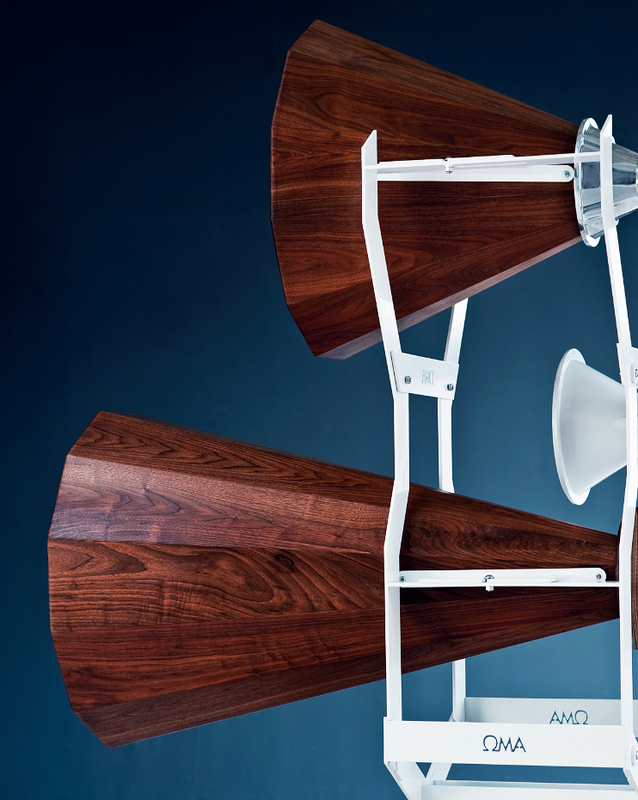 designed by David D’imperio, the wooden conical horns are made from a choice of solid pennsylvania black walnut, cherry or ash. 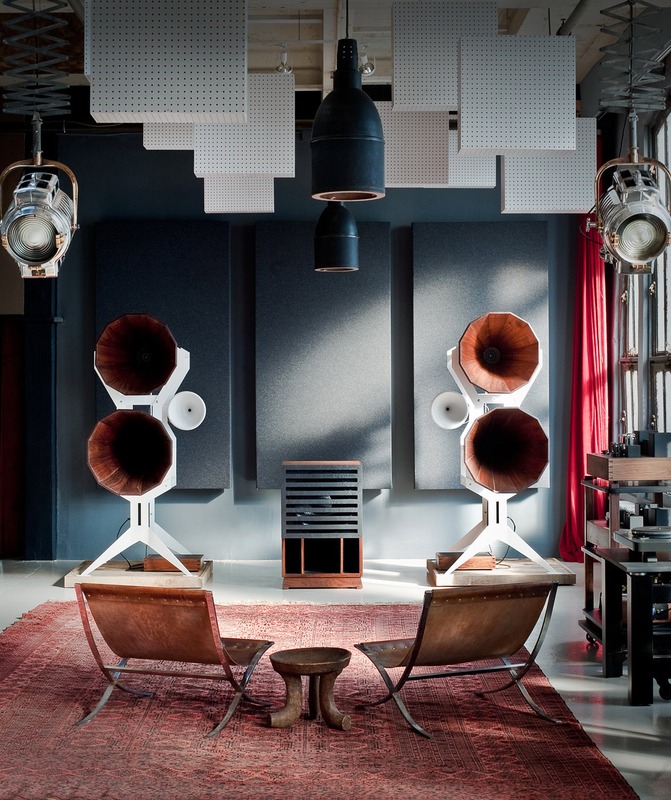 The midrange horn uses the cogent field coil compression driver. 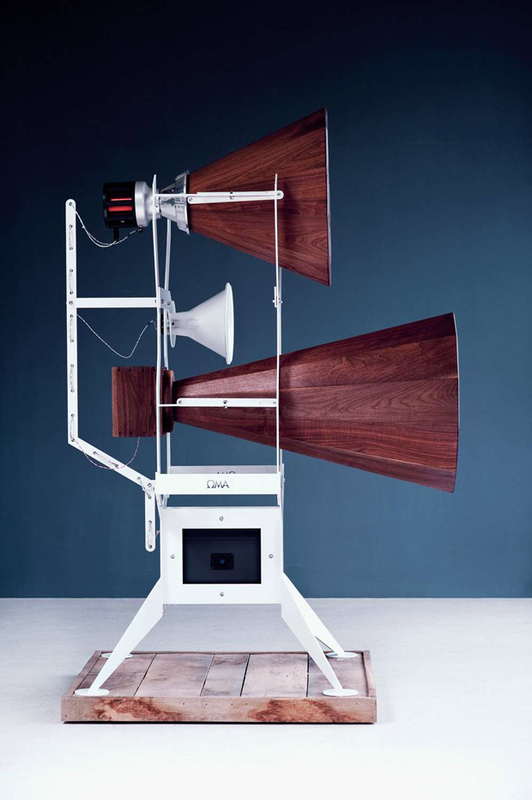 The high frequency horn is cast by OMA from aluminum alloy and the outboard crossover network is coupled to the “Imperia” through a solid slate patchboard. The latest iteration features natural pennsylvania ash and is finished in had rubbed oil and way, to preserve the wood’s natural light color. Only the light colored sap wood was used from each tree, which greatly increased the amount of labor involved in fabrication. 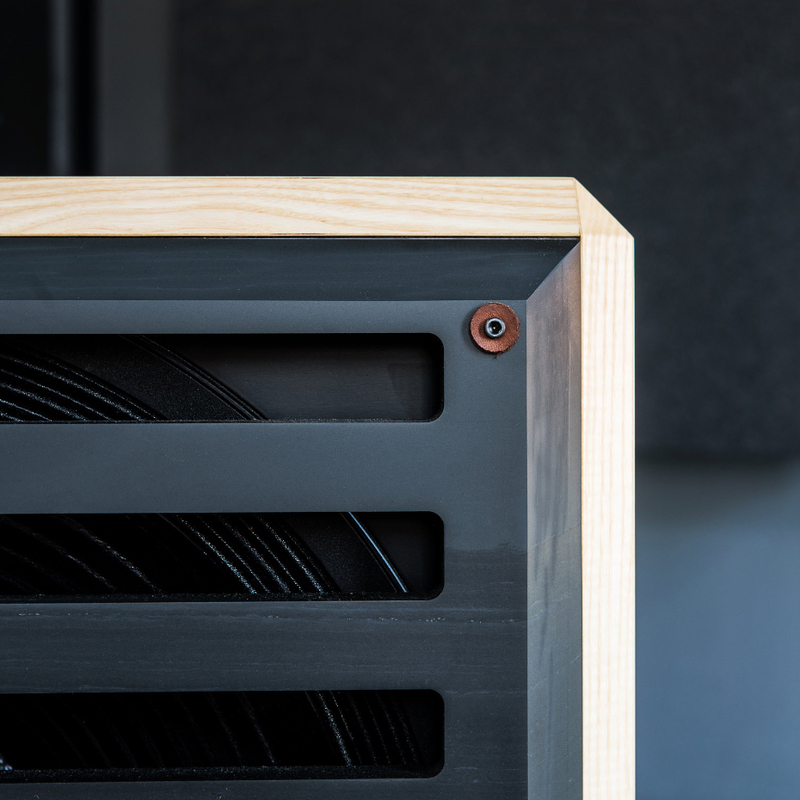 Combined with the black wrinkle finish frames and black slate water jet cut grills for the twin bass modules, the latest “Imperia” offers maximum contrast in materials. 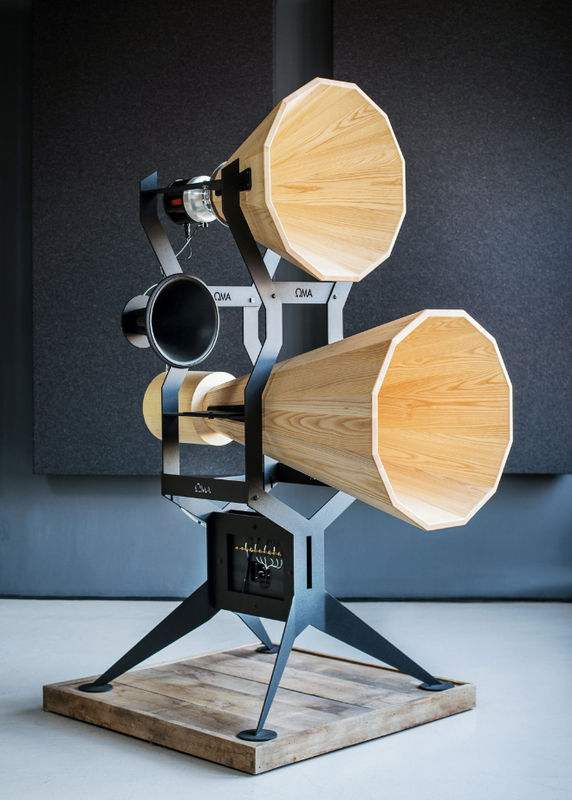 Custom internal wiring and newly designed harness improve the layout along with a modern circular rear compression chamber for the lower mid bass horn driver.